Loved the tour and the tour guide, Soo is very good. 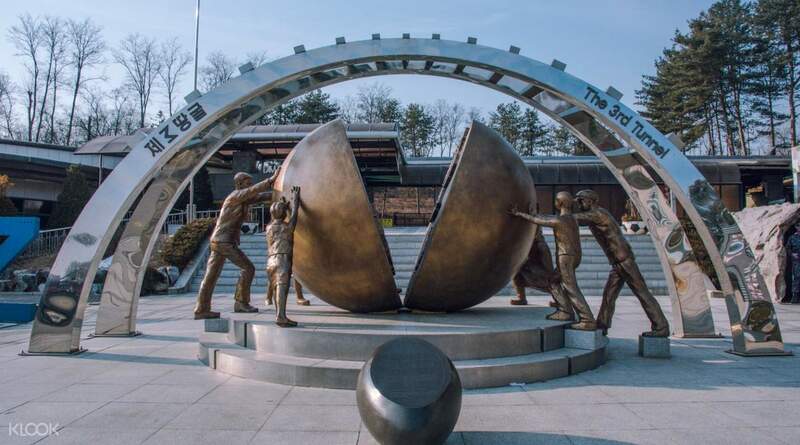 This is a tour to take you deep into the Demiliratized Zone (DMZ), just a few miles from North Korean territory, to discover more about Korea's turbulent past. 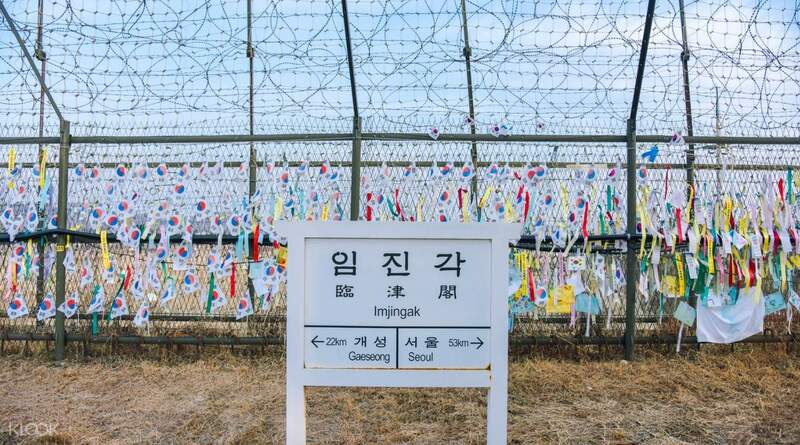 Despite its name, the DMZ is the area between two of the most heavily armed frontiers on earth. This no man's land is remarkably safe for tourists (and even world leaders) to visit, but is only accessible via group tours. 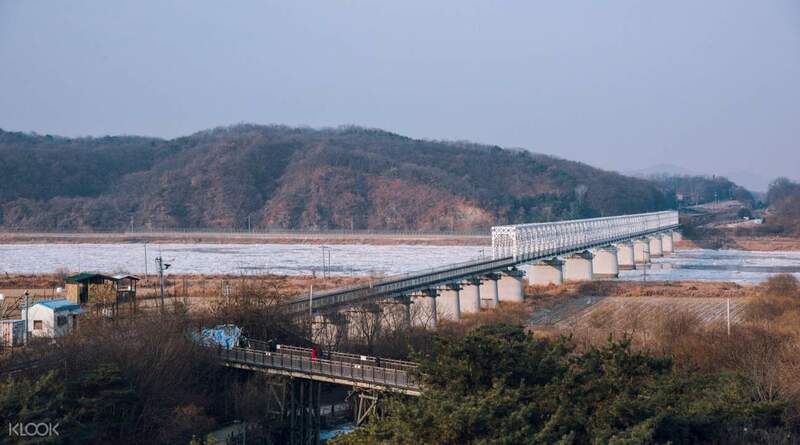 Your guide will relate the fascinating history surrounding the area as you visit historical sites: war relics at Imjingak Park, Freedom Bridge across which almost 13,000 Korean POWs walked to freedom, the 3rd Infiltration Tunnel - an invasion route built beneath the border, the DMZ exhibition theater, and views of North Korea from atop the Dora Observatory. A great educational tour that I’ve never regretted going for. Our guide was very fluent in English and emphasized on timings. It was a little rushed but I enjoyed it thoroughly. Lunch was really delicious as well! Do make sure that you wear comfortable clothing to go into the tunnel and for tall people (I’m 168cm) it can get quite tiring. Spaces in the tunnel are narrow and damp, thus not recommended for those who get claustrophobic. A great educational tour that I’ve never regretted going for. Our guide was very fluent in English and emphasized on timings. It was a little rushed but I enjoyed it thoroughly. Lunch was really delicious as well! Do make sure that you wear comfortable clothing to go into the tunnel and for tall people (I’m 168cm) it can get quite tiring. Spaces in the tunnel are narrow and damp, thus not recommended for those who get claustrophobic. Must do when in korea. Our tour guide Sonya is very good. She speaks english like a native speaker. I really like the 3rd tunnel and the observatory. Note on the tunnel, the way is very steep and if you’re tall, it’ll be a lil bit hard. Also, coming out it feels like ‘leg day.’ Haha! The observatory is by far my fave. There are binoculars you can use. You can even see the city of kaesong. I saw some people walking in North Korea. The tour ended with a very good lunch. Also I’ve met some good people from different countries. Must do when in korea. Our tour guide Sonya is very good. She speaks english like a native speaker. I really like the 3rd tunnel and the observatory. Note on the tunnel, the way is very steep and if you’re tall, it’ll be a lil bit hard. Also, coming out it feels like ‘leg day.’ Haha! The observatory is by far my fave. There are binoculars you can use. You can even see the city of kaesong. I saw some people walking in North Korea. The tour ended with a very good lunch. Also I’ve met some good people from different countries. Very wonderful tour to the DMZ. Well organised and informational. The only drawback was the rather abrupt stop at the Ginseng factory, where they are hard selling the products. That was a detour from the route and took an extra hour or so. If that stop didn’t exist, the tour would’ve been perfect. Very wonderful tour to the DMZ. Well organised and informational. The only drawback was the rather abrupt stop at the Ginseng factory, where they are hard selling the products. That was a detour from the route and took an extra hour or so. If that stop didn’t exist, the tour would’ve been perfect. Recommended!! Though i feel could be longer/less rushed. But though it was short, it was really informative - shoutout to our guide Chloe. Oh and get the lunch package!! The food were so good!! So worth!! Recommended!! Though i feel could be longer/less rushed. But though it was short, it was really informative - shoutout to our guide Chloe. Oh and get the lunch package!! The food were so good!! So worth!! We had a great time during our tour. we visited 4 different sites but the time was managed properly and we were able to enjoy each sight properly. Our guide Erica was very strict with time but that is understandable given the different sights but she was a bit curt at times. Overall we had a good time. We had a great time during our tour. we visited 4 different sites but the time was managed properly and we were able to enjoy each sight properly. Our guide Erica was very strict with time but that is understandable given the different sights but she was a bit curt at times. Overall we had a good time. The entire tour was 👌👍. The driver who pick us up was courteous and on time. I'm glad I avail the set lunch but I think I would enjoy it more had I not have to share the side dish with another person/client whom I don't know. (it was kinda awkward) 😁. The entire tour was 👌👍. The driver who pick us up was courteous and on time. I'm glad I avail the set lunch but I think I would enjoy it more had I not have to share the side dish with another person/client whom I don't know. (it was kinda awkward) 😁. Our guide Kaytie (KT) is very great. I learned a lot about the the two Korean countries and why they were separated. 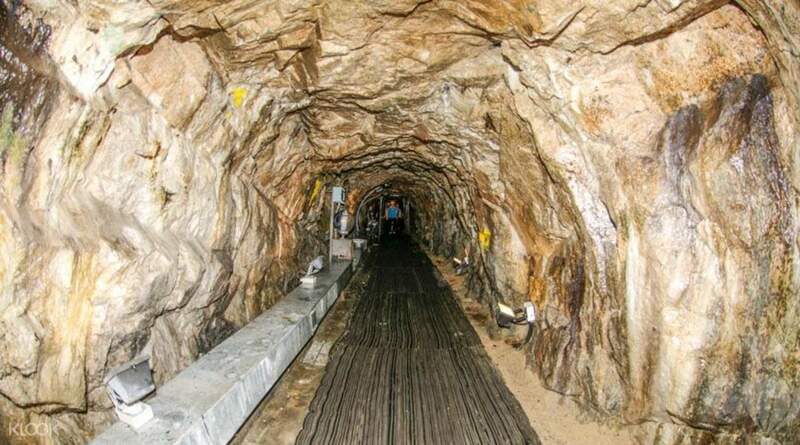 This is a recommended tour except for the infiltration tunnel..haha..it was great but not recommended for those with weak knees. Overall, tour was great. On time schedule, nice guide, smooth travel, nice places. I almost forgot about the lunch package which was superb. it's so delicious you should not miss. Our guide Kaytie (KT) is very great. I learned a lot about the the two Korean countries and why they were separated. This is a recommended tour except for the infiltration tunnel..haha..it was great but not recommended for those with weak knees. Overall, tour was great. On time schedule, nice guide, smooth travel, nice places. I almost forgot about the lunch package which was superb. it's so delicious you should not miss. the tour guide is very engaging and briefed us abt the history of North and South Korea. 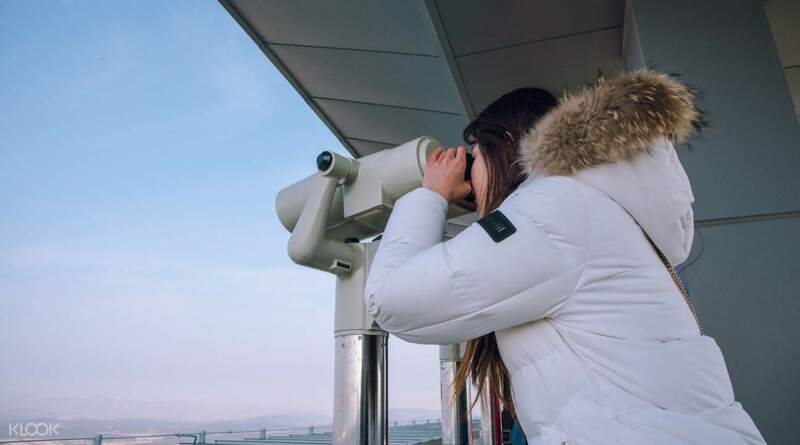 This tour is very fuss free and we are very lucky to be blessed wif a clear day to look into North Korea from the new Dora observatory. the only thing I don't like is tat we need to walk into that tunnel ourselves. previously, when I went there f&e, I can choose to take the monorail down by paying extra or walking down. The monorail provides another kind of experience and I hope that this can be included for future tours. the tour guide is very engaging and briefed us abt the history of North and South Korea. This tour is very fuss free and we are very lucky to be blessed wif a clear day to look into North Korea from the new Dora observatory. the only thing I don't like is tat we need to walk into that tunnel ourselves. previously, when I went there f&e, I can choose to take the monorail down by paying extra or walking down. The monorail provides another kind of experience and I hope that this can be included for future tours. Sonya, the guide, was helpful and informative. though only a few minutes per stop, we did not feel overly rushed. saw kids and older adults try the 3rd tunnel, tunnel was steep but had benches for rest. might strain the back of tall people, have to stoop and bend your knees for a good distance of the tunnel. lunch at local restaurant was good. we suggest those with diet restrictions to ask klook or the tour company about the lunch options before booking. Sonya, the guide, was helpful and informative. though only a few minutes per stop, we did not feel overly rushed. saw kids and older adults try the 3rd tunnel, tunnel was steep but had benches for rest. might strain the back of tall people, have to stoop and bend your knees for a good distance of the tunnel. lunch at local restaurant was good. we suggest those with diet restrictions to ask klook or the tour company about the lunch options before booking. The pickup was on time. The guide patiently explained about the different locations that we were taken to. Enough time was given to visit the attractions. The lunch was excellent and was given multiple options to choose from. The DMZ tour was the biggest highlight of my tour at Seoul. The pickup was on time. The guide patiently explained about the different locations that we were taken to. Enough time was given to visit the attractions. The lunch was excellent and was given multiple options to choose from. The DMZ tour was the biggest highlight of my tour at Seoul.